On a Saturday afternoon in the Czech city of Brno, my friend and I sat inside Forky’s, a vegan restaurant, shoveling Sriracha-drizzled pad thai into our mouths out of cardboard cups. I’d been to Brno many times over the years to visit family, but this was the first time I’d ever seen Sriracha’s rooster-embellished bottles anywhere in the city. This was also my first time eating pad thai in the Czech Republic. This diet originates from Slavic cultural traditions and the climate of Central Europe. Like the cuisines of other Slavic countries, traditional Czech staple vegetables—including beets, cauliflower, and cabbage—are all hardy vegetables capable of withstanding long winters. Vegetables are almost always incorporated into meals either pickled or otherwise preserved. In the summer, local fruit is sold in city markets. That is the extent to which fresh produce was a part of Czech cuisine for centuries. The rise of vegetarian and vegan cuisine in the Czech Republic is particularly surprising because the same trend has not appeared in other Slavic countries. For every million inhabitants in the Czech Republic, there are 11.1 vegetarian restaurants—over double that of Slovakia and nearly 16 times that of Ukraine. The Czech Republic even surpasses many Western European countries, including Sweden, Italy, and Belgium which have 9.7, 9.4, and 7.4 vegetarian restaurants per million inhabitants, respectively. In Brno, almond milk and yogurt, though far pricier than cow milk and yogurt, are available at every major supermarket. Restaurants throughout the city center advertise entirely vegetarian and vegan menus. Most of these eateries’ menus rely on some degree of appropriation of foreign cuisines. 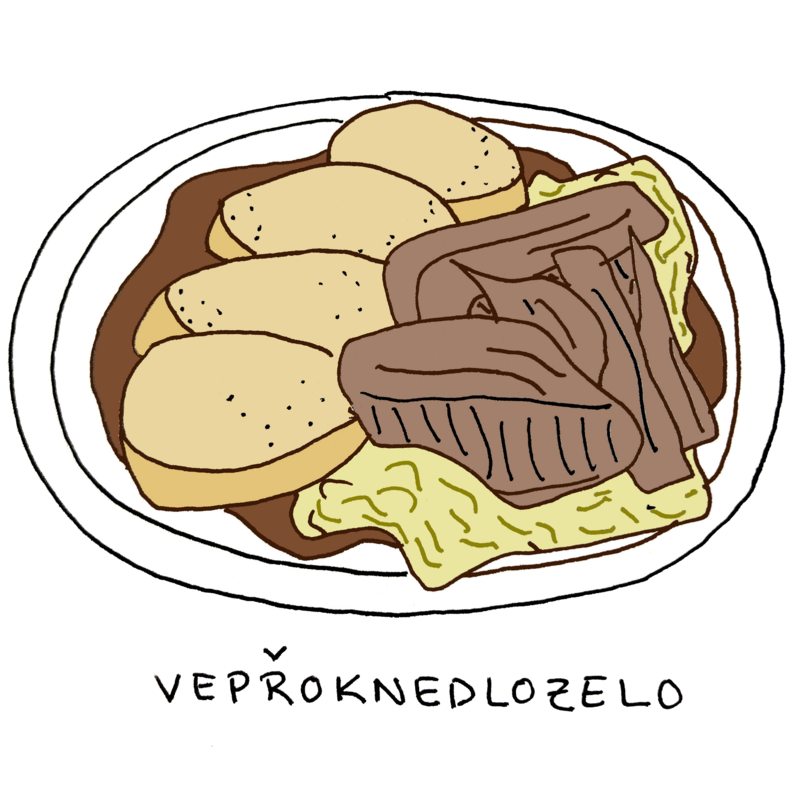 It’s admittedly hard to imagine how a meatless take on the Czech national dish, vepřo-knedlo-zelo—a cut of roasted pork with sliced bread dumplings and butter-braised cabbage drowning in the juices—could possibly do justice to the original. Czech cuisine also lacks spice, a much needed enhancement in vegetarian eating—the most you’ll ever get is a generous helping of Hungarian paprika in the sauce for a guláš or a stick of salami. 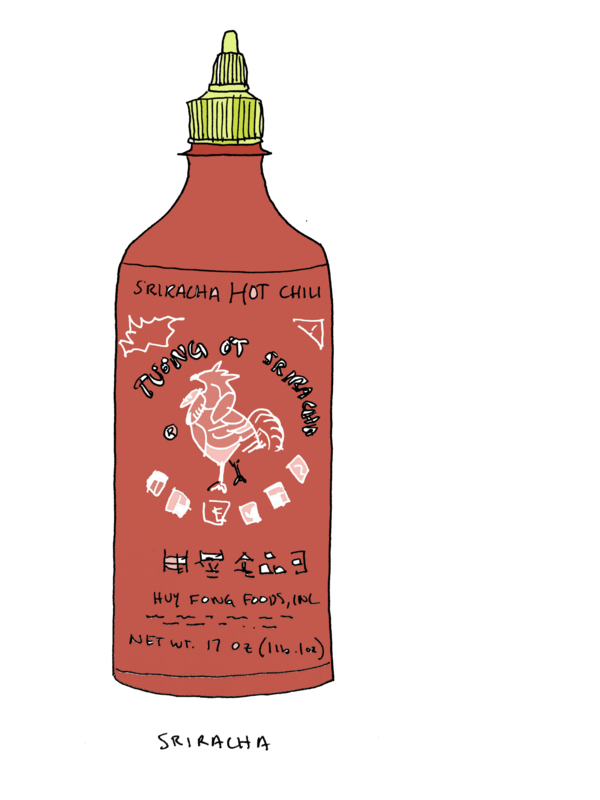 Hot sauce only started appearing as the country’s borders became more open, first with the end of communism in 1989 and then with European Union membership. The increased access to foods from outside of this small landlocked country is what makes appealing vegetarian and vegan cuisine even possible. This is how it came to be that at a vegan café in Brno, I ordered the “Indian burger,” with a chickpea and cumin patty, vegan cheese, and spicy curry sauce. Even Forky’s decor is a counterpoint to Czech tradition. A traditional hospoda is dimly-lit and wood-paneled; Forky’s has tall, bright white walls and is drenched in sunlight. By one wall, there are the stacks of informational pamphlets on the cruelty of the meat and dairy industries, and on another, the names of famous vegans and vegetarians, including Paul McCartney and Mahatma Gandhi. Forky’s breaks from Czech tradition by appearing modern and cosmopolitan. It’s a strategy that’s working so far. This winter, Forky’s has opened new locations in Prague and Bratislava, the capital of Slovakia. The foreign influences at Forky’s range from the obvious, such as the inclusion of pad thai on the menu, to the more subtle, like the jalapeño peppers in their Spicy Burger. What’s most striking about their menu, however, are the vegan adaptations of foreign cuisines already common in the Czech Republic because of the country’s large immigrant communities. The Vietnamese community brought pho, the Turkish and Azeri communities brought döner kebabs, and Forky’s made them vegan. Inside the restaurant, I could just as easily have been at a location of the popular American vegan chain by CHLOE., with its Instagram-ready lighting and decor. The feeling that one could be at any hip eatery in the world, presented with the same random selection of foreign dishes, speaks to a sense of flatness and sameness, with the sheen of cosmopolitanism, that globalization creates in places that were once economically isolated. There is no real presence of the various cultures that made Forky’s possible—the restaurant itself is owned by a white Czech man, but Czech culture isn’t present either. Amid the sterile decoration and knock-off cuisine, one is told, at a place like Forky’s with its motto “Respect for Life,” that they are in fact doing something ethical by choosing to eat here rather than at a street food stand run by an Azeri immigrant. Every afternoon on my way to my Czech classes at Masaryk University, I walked by a wall on Veveří Street, with purple graffiti that read, 98% Čechů nechce MULTIKULTI: 98 percent of Czechs don’t want multiculturalism. Spray-painted over it in black, was a snarky response: ale kebab a čína nám chutná—‘but we like kebab and Chinese food.’ The businesses on the surrounding blocks of Veveří are proof of this: pubs serving traditional Czech food and kebab stands practically alternate along the long boulevard. Though decidedly glib and shallow, the graffiti retort challenges those Czech citizens who wish to pick and choose the elements of multiculturalism that they’re most comfortable with. It’s also clear that access to a greater variety of food is among the least of Czechs’ objections to multiculturalism and globalization, even as it marks an underlying hypocrisy. The professor who taught my class quickly became infamous among my peers for her daily xenophobic tirades against the EU, that would erupt into heated arguments with her students, who were mostly young citizens of other EU member states. In her mind, it was the poor, embattled Czechs—perpetually the victims of more powerful nations and their tyrannical leaders—against Angela Merkel, whose name she would hiss out like a curse. A number of her rants centered around food imports. One day, she said, “I am a simple person. I don’t need to see bananas and oranges in the supermarkets year round.” Another day, she made the dubious claim that EU regulations had prevented the sale of Czech-grown poppy seeds in the Czech Republic, thus requiring the importation of lower-quality poppy seeds from Turkey. In all of her rants she would contrast this nonsensical modern state of affairs with her vision of the past, in which the country was fully self-sufficient and self-contained. “My grandmother always said that the healthiest food you can eat is grown within 50 kilometers of where you were born,” she told our class one day. The Czech Republic, of course, has always been a multicultural region—a consequence of Europe’s geography and the country’s own history as a part of bilingual Czechoslovakia, a former Warsaw Pact country, and as part of the Habsburg empire. A century ago, half of Brno’s population was German-speaking. Czechs have not historically bristled against multiculturalism itself, but the erosion of Czech autonomy that comes alongside it. There are Czech people living today who remember the Munich Agreement, which handed the first piece of Czech land over to Nazi Germany on the basis of its large German population, and the Soviet-led Warsaw Pact invasion in 1968, which ended a widely supported period of liberalization in Czechoslovakia. Many Czechs view the dictates of the EU as a continuation of a pattern of disregard for the self-determination they have long fought for. Such rightful skepticism towards EU leadership has been co-opted by a xenophobic reactionary movement. In the October parliamentary elections, the ANO party, led by billionaire Andrej Babiš, won a majority of seats with a platform favoring limited immigration and limited integration into the EU. Last winter, speaking as the country’s finance minister, Babiš blamed Angela Merkel’s support of open-door refugee policies for the attack on Berlin’s Christmas market. The current president, Miloš Zeman, won his reelection last week as a result of his popular anti-refugee policies. A whole generation of children of Vietnamese immigrants—who were the first large wave of immigrants from outside of Europe starting three decades ago—have been born and raised in the Czech Republic, but aren’t Czech citizens as a result of the country’s citizenship laws, which are based on ancestry rather than birthplace. The need for a critical look at the EU’s role in Europe—particularly the lack of citizen voting power and the dominance of its wealthiest member states in shaping policy—has been leveraged as a means of excluding and demonizing hopeful immigrants and existing Czech immigrant communities. A potential step in taking down the false dichotomy between unquestioning support for the EU and support of exclusionary policies is to question the two visions of multiculturalism they pit against one another. One is a flat-out racist and xenophobic myth of foreign encroachment, but the other is a bland dissolution of culture, a false push for sameness that simply hides the harm it does better. 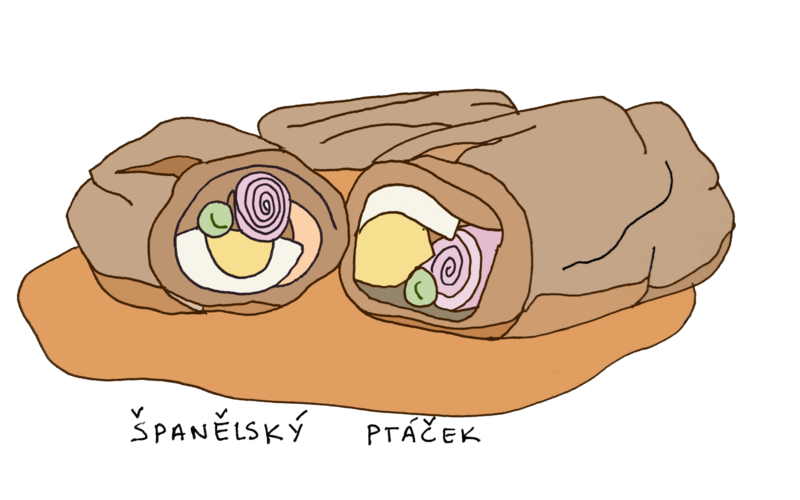 Czechs may love their kebab a čína, but have yet to reconcile their politics with their stomachs. JANE ARGODALE B’18 is full of spicy takes.